Get ready for a spectacular, crazy and chocking event: the Pumpkin festival! With a trapped spirit and a unhealthy love for music, Kapten Ka is giving us wierd and beautiful lofielectro-nica-pop filled with dangerous melodies, screaming beats, unhappy voices and…pumpkins. This is the first in a quadrology of EPs from the gastronomous Pumpkin festival where Kapten Ka unleashed his 36 tracks in front of a stunned and hungry audience. We are happy to have gotten our sticky hands on theese rare recordings and will continue to release more material from this remarkable man and his pumpkins. For thousands of years, people have set aside a day to celebrate the autumn harvest, giving thanks for a plentiful growing season. 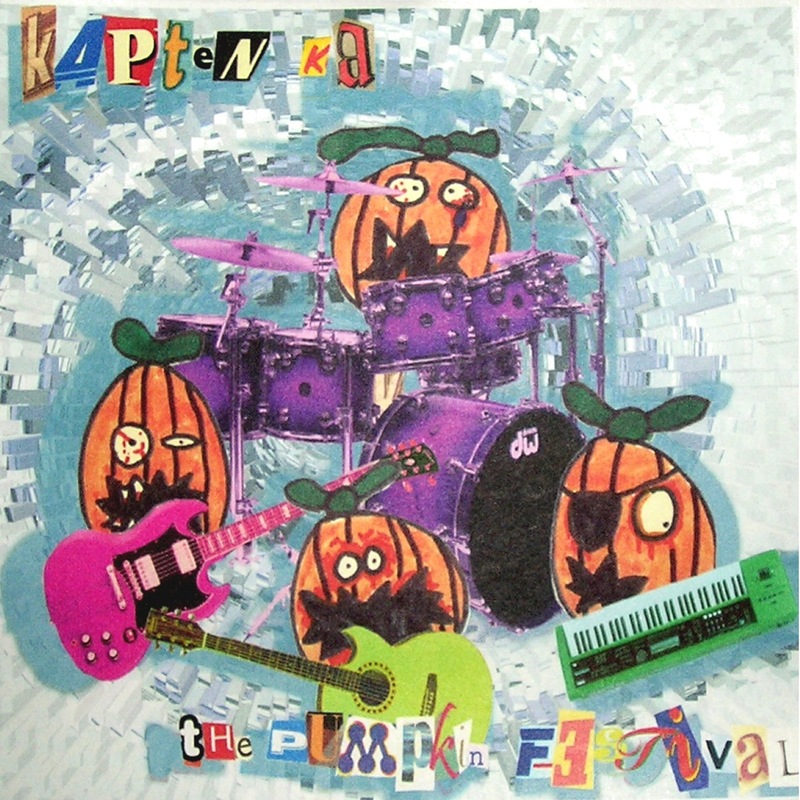 For Kapten Ka the harvest celebrations are culminating in the statewide Pumpkin Festival where he sells pumpkins and CDs after his gig. If You’re thinking of living in red, think twice! There are so many other colours and besides, red fluorescent living has a vivid red fluorescence making it ideal for multiple labeling with enhanced green fluorescent living variants. “Each and everyone can make crop circles!” at least according to Kapten Ka. He joined Team Satan during the cold war and has continued to make at least four crop circles per year. Music computers are crashing again and again, nothing works as it should and Kapten Ka is pretty upset. Shaving is a personal decision. It’s very normal for women to have dark or thick hair on their bodies. It doesn’t need to be removed unless it really bothers you. If you feel very strongly about shaving you might want to try to talk to your parents about your concerns at a time when nobody feels rushed or distracted. You can explain to them that you feel uncomfortable with some of your body hair, that shaving is not a sign that that you are “growing up too fast.” You might also want to ask them to understand how important it is that you feel comfortable with your body and how shaving will help you feel more comfortable.